It was only about two months back, that I wrote about this awesome group as my debut article in “Cultured The Magazine”. So, when I got the chance to see the show live, I could not resist, but grabbed this opportunity. The initiative of Cherryblonde Scribe took about a year to finally realize it. 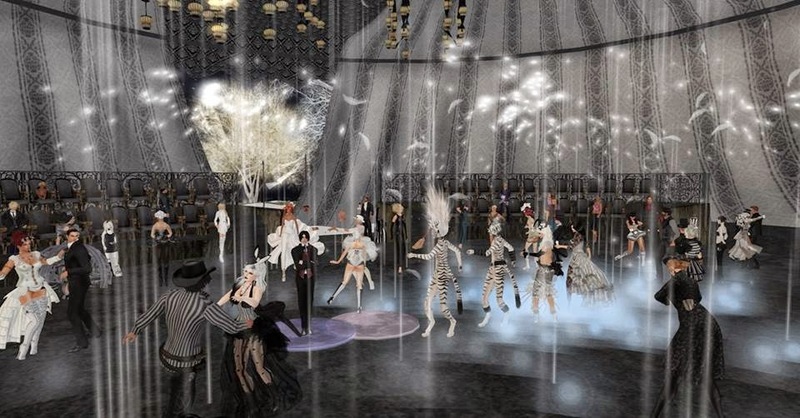 A year back on April 6th, 2014, Second Life saw the first glimpse of Le Cirque de Nuit. A show which would be remembered even after it was over. The show was later performed on April 6th, 19th, July 26th in the year 2014. The shows this year were based on the original production with some casting changes, new acts and updates. 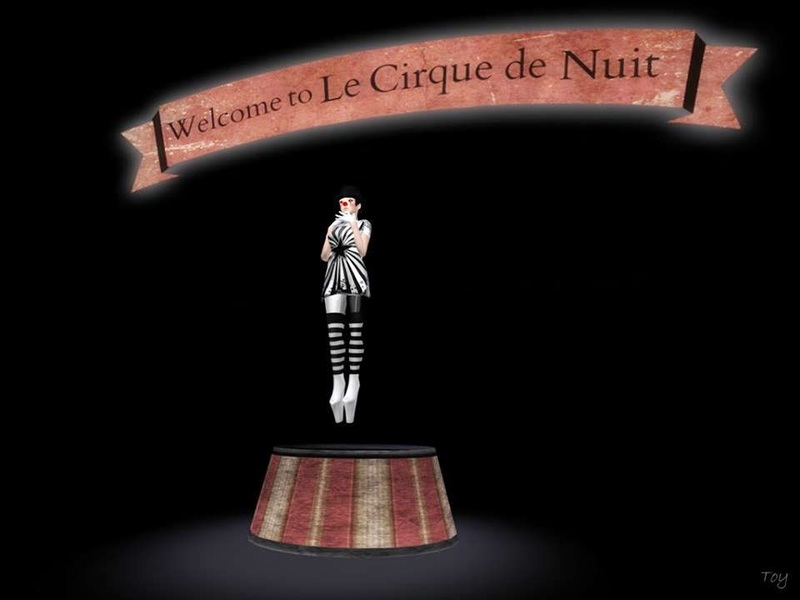 Idle Rogue Productions presented Le Cirque de Nuit, this year from April 3rd to April 5th 2015, is loosely based on the book, “The Night Circus” by Erin Morgenstern. 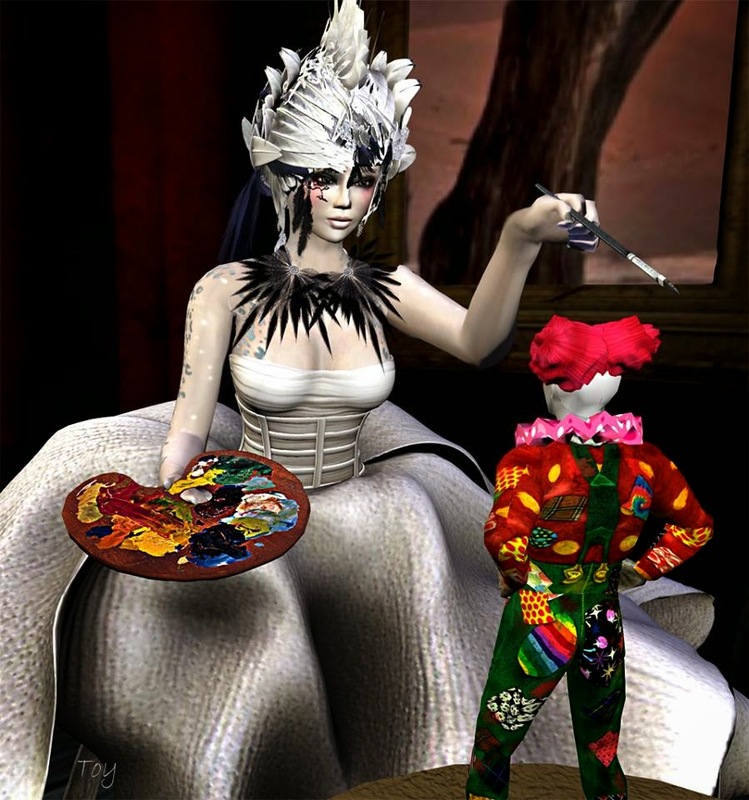 This book was recommended by a friend of Cherryblonde Scribe, Gloriana Maerten, who also happens to be the sim designer. The bookings for the show had started on March 20th, 2015. Over 20 seats were booked within 24 hours on first come first served basis. Half an hour before the show, the gates for the public were opened to fill the rest of the seats. About 30 dancers performed in each show. This means a total of 70 residents are limited per show. I was lucky enough to grab a seat within the first five minutes when the gates opened. It hardly took a few minutes to fill up every seat. In those thirty minutes, we were given the instructions to use the camera. We also received gifts and a program schedule. The gift was a mini version of the Le Cirque de Nuit. Keeping the environment at midnight settings, we sat on the chairs and pressed Ctrl+9 to reset camera controls. Pressing escape twice, we could view the screen that made all the difference to the show. The ability to control viewer’s camera is built by Arrehn Oberlander. The audience applauded and their jaw fell wide open at the very start of the show. Prior to the show, I had asked ToySoldier Thor to take a few pictures for the event. This was his second time to the show. As for me, it was my second too, considering last time I had the whole auditorium to myself while Gloriana Maertens kindly explained the tricks of the camera and her act. Thor took over 90 pictures after the show. A few selected ones have been shown in this article. For the rest, please view the link at the end of this article. 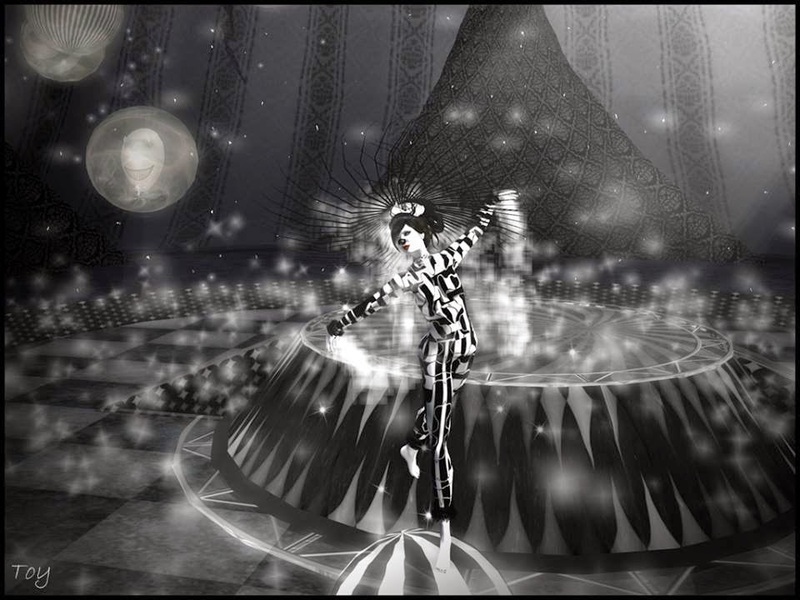 Le Cirque de Nuit is an act to pay homage to the Circus in the book. The show started with Gloriana Maertens followed by Imrhien Porthos and others with special bonus surprise scenes exclusive to this season performed by various artists. Each bonus scene could be viewed by pressing escape once on the keyboard. 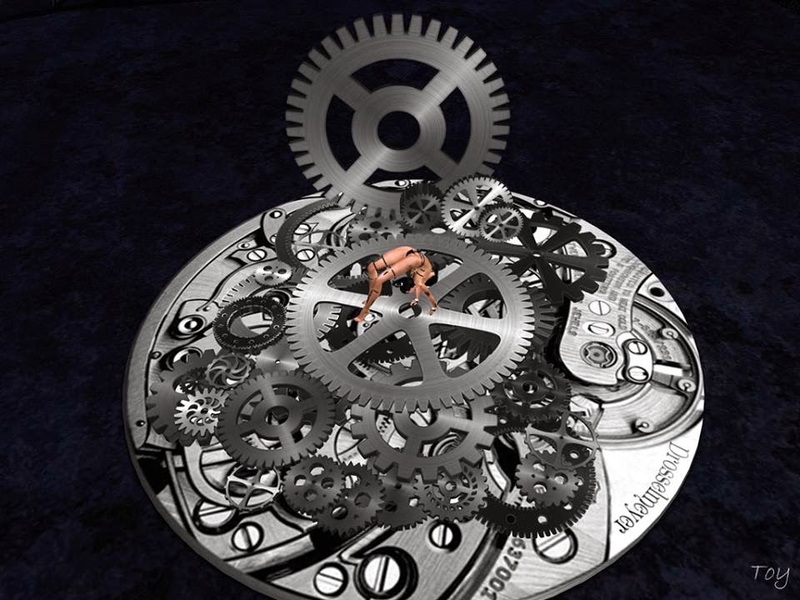 These scenes are part of every show, however, the performances are updated and new scenes are introduced. Each year these scenes would be changed, as Le Cirque de Nuit is an ongoing annual recast event. The audience’ perspective was kept at highest notion. Each artist is given a genre to select a piece of music for their act. Being in the audience, the music per act was very soothing and harmonious to their dances. The dances were so well chosen that it could speak the language of spoken world. This set is a proof that black and white could have more emphasis than a colourful set. The breath taking acts and the skills of each performer was mind blowing. At the end of the show on 5th April, 2015, the total tips collected was L$ 33839 to be distributed to the whole crew. After the show, I asked Scribe: How do you feel after the show is over?